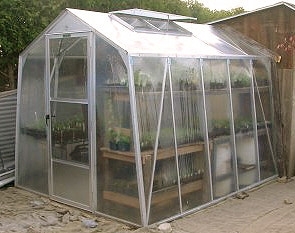 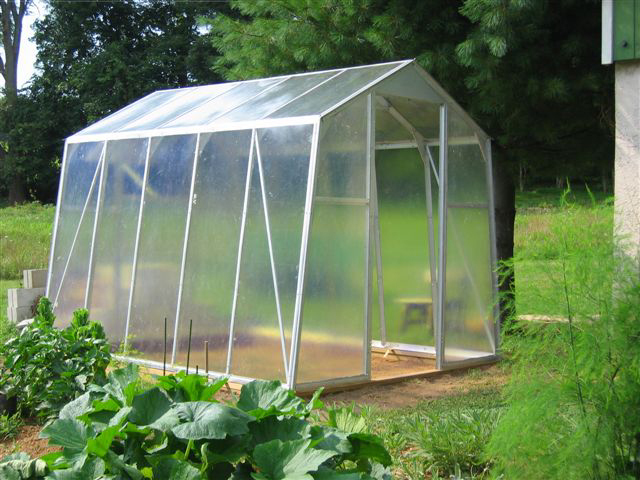 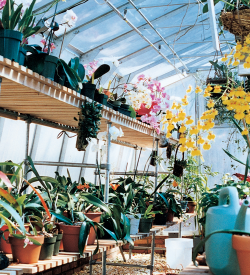 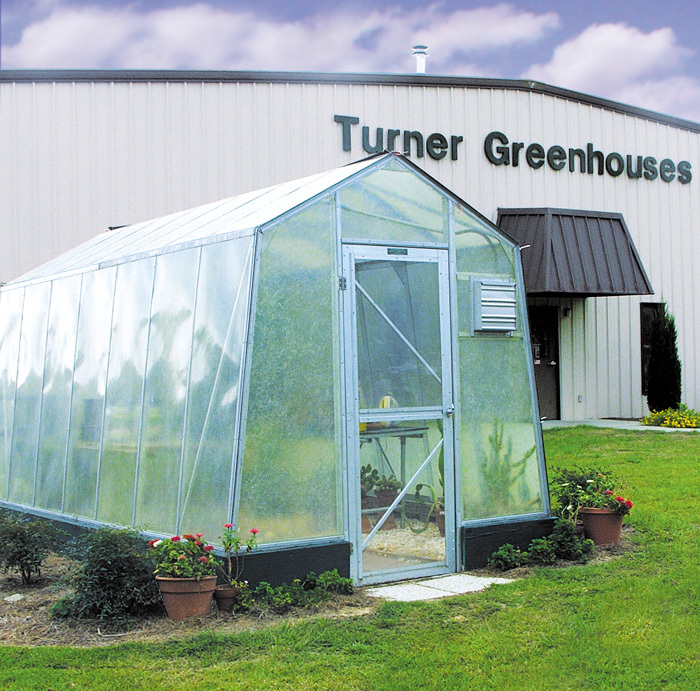 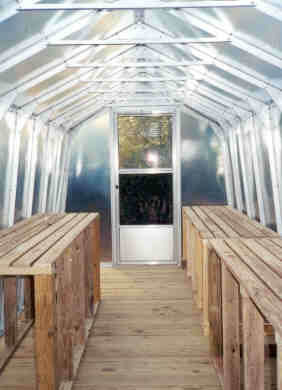 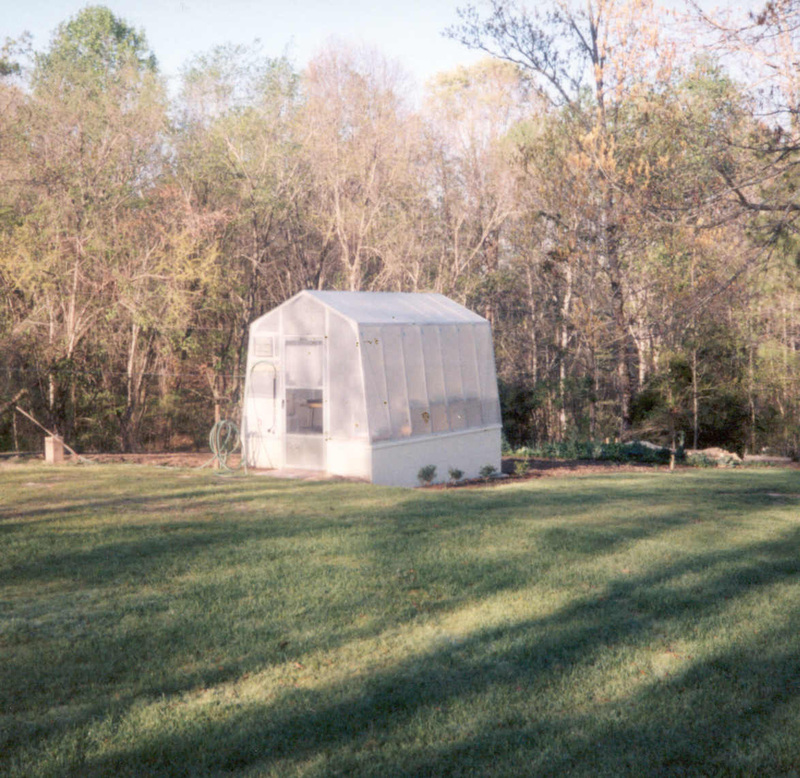 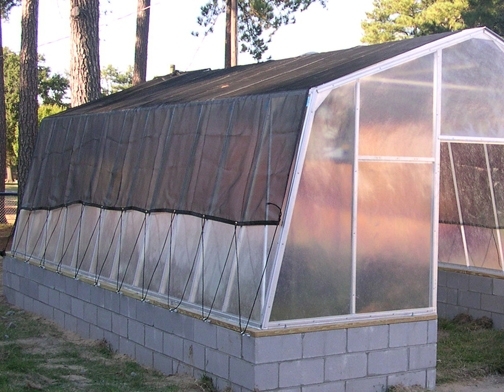 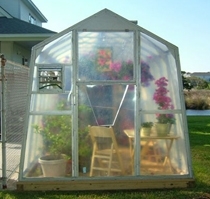 This Brightleaf Greenhouse with POLYCARBONATE Covering model is our premium priced model. 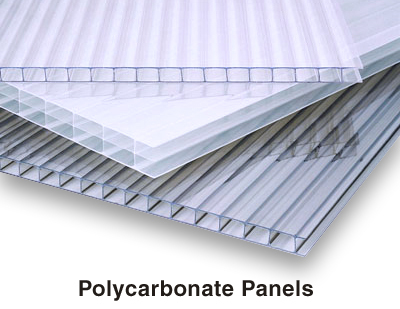 Our super energy-saving twin-wall 6mm polycarbonate is UV treated and especially manufactured for greenhouses and comes with a 10 year limited manufacture’s warranty. 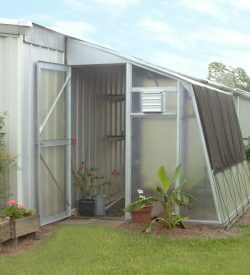 You can get your feet wet without getting soaked! 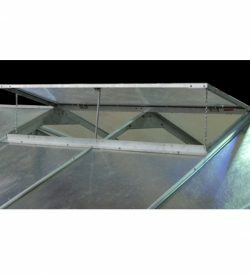 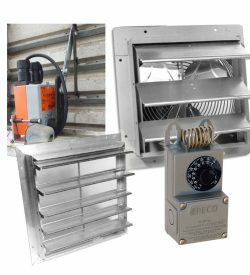 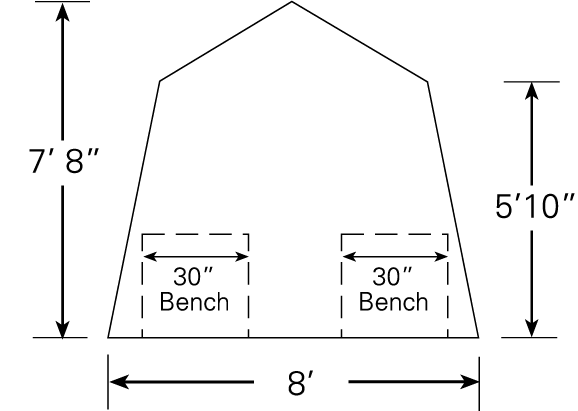 Every Turner model with standard ends has one manual source of ventilation: a 30″ x 30″ manually-operated vent in the back end wall.